The Hypercube is the 4 dimensional analog of the cube. For full info on it see the Wikipedia article here. 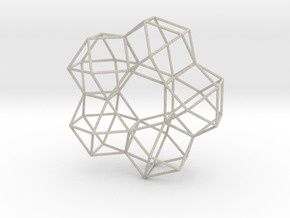 This model is a Toroidal Hypercube inside another Toroidal Hypercube. 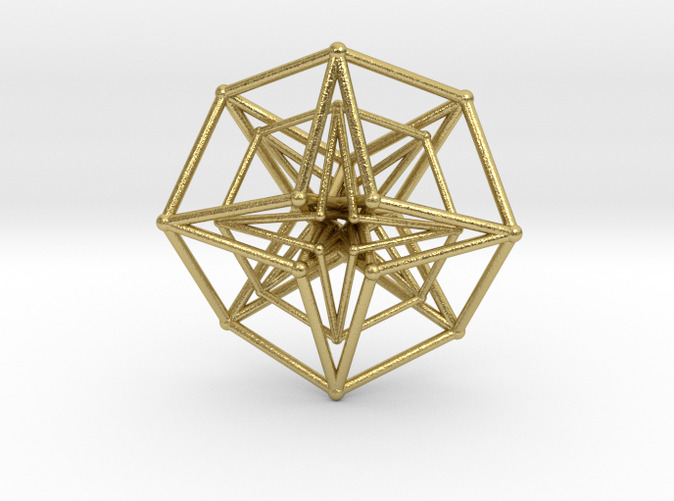 If all the vertexes of the large hypercube were connected to the same vertexes of the small one then we would have a form of the 5 Dimensional Cube. The Toroidal Hypercube is an unusual projection of the Hypercube that equally distorts all 8 of its cubes. All the lines the same length as they should be in a Platonic hyper solid or 'polytope'. It is my own invention from about 36 years ago when I first got into drawing 3D stereographic models. It is the equivalent of drawing a cube as a hexagon with 6 lines that nearly meet at two points near centre. I call it the Toroidal Hypercube as it distinctly gives the impression of a toroidal (doughnut/smokering) shape. 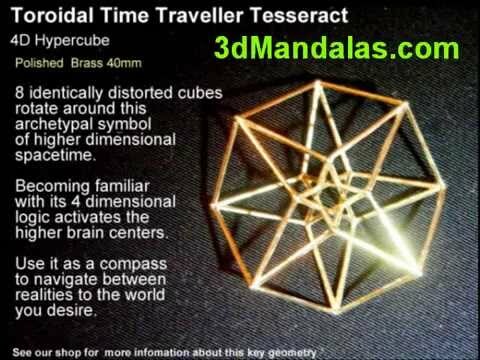 It is also called the Time Traveller as it represents the measurement unit of SpaceTime and looks rather like a 8 pointed compass. You can easily find the 8 distorted cubes (in 2 sets of 4 cubes) as each side of the octagonal shape is an edge of a (distorted) square that connects to 2 other squares. Many people ask me whether it is a 'Merkabah' - which is interesting as it does have a strong relationship to the Star Tetrahedron that Drunvalo and others have used as the geometry of the Merkabah or Light Body, in the sense that they are both cubic and polarized - and yet the Toroidal Hypercube it is clearly a higher octave as its logic is 4 dimensional not 3 dimensional. I believe the Time Traveller is a perfect symbol for the New Consciousness that is awakening on this planet in response to the urgent need to accelerate human mental, emotional, and spiritual evolution in order to survive the multiple looming global catastrophes. 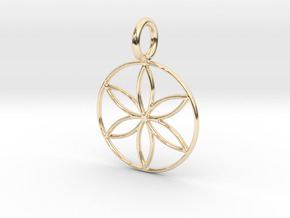 Much more info about this enchanting form can be found at SacredPatterns.com where you can also order handmade gold plated silver versions. 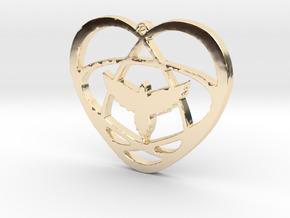 Here on Shapeways we offer it in a variety of sizes 35mm 50mm 80mm 100mm and a variety of line thicknesses 1mm 1.5mm 2mm 3mm so that you can use it for everything from a pendant to an altar piece. 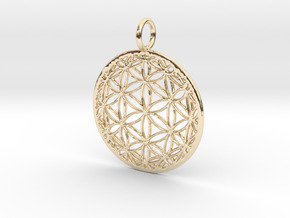 We also offer versions where the hypercube contains a smaller version of itself, or has a smaller version resting on top of it.Sacred Geometry, is a key to good science, a secret of great art, and a light on the mystical path. The video Down below is about some other interesting products from the shop, feel free to check up on these .